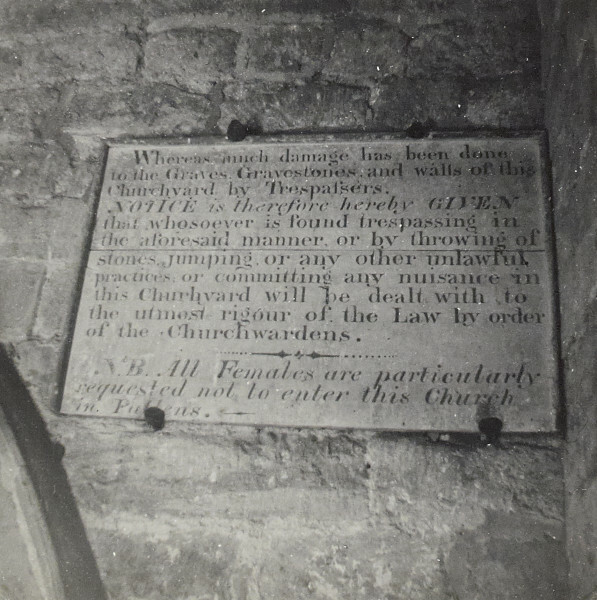 Black and white photograph of a notice on a church wall warning against people causing damage to church property and saying trespassers will be punished by the law. At the end of the notice it says "N.B. All Females are particularly requested not to enter this church in Pattens". This photograph is on page 46 of the C N Hadlow photograph album.